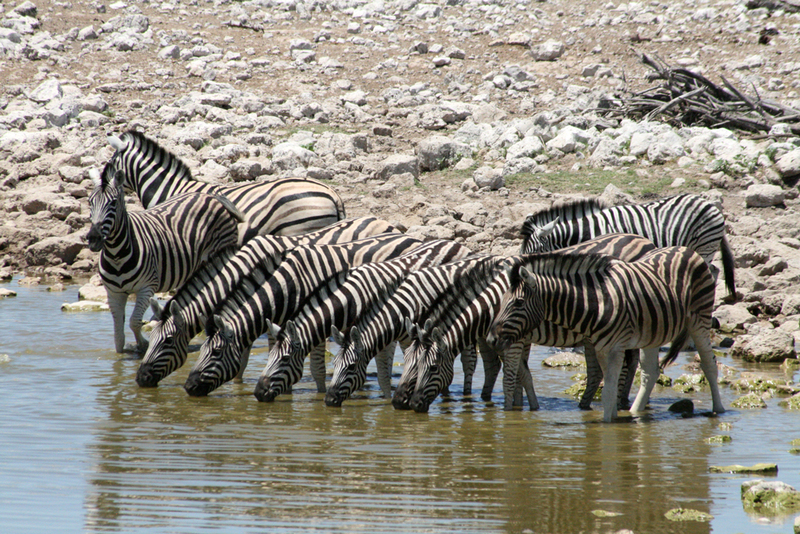 The story of the area now known as Etosha National Park began being written after Charles Andersson and Francis Galton made the discovery in 1851. Andersson recalled being astounded by the thousands of animals and birds contained in this area and the splendid surrounding land. When Namibia (then known as South West Africa) fell under German occupation, Dr. Friedrich von Lindequist, the governor of South West Africa, proclaimed the area as a game reserve in 1907. The reserve encompassed an area of 100 000km2 – which is an area larger than the Netherlands and Switzerland combined! Throughout the following years, the size of the reserve greatly decreased until the current size of 22 270km2 was agreed upon, and in 1967 the reserve officially became Etosha National Park while under South African Administration. One might question the existence of seemingly misplaced forts in a game park,but adding to the history of Etosha, military forts were built by Germans in 1889 at Okaukuejo Camp and Namutoni Camp. These were later destroyed and rebuilt but there remains a fort standing at Camp Namutoni which has now been declared a National Monument. Early tourism in Etosha was decidedly a unique and slightly parlous affair, with guests sleeping in open bomas in the large expanse of the grassland or camping near the fountain at Okaukuejo Camp. While camping, guests often had to seek protection in, and even under,their cars when lions approached! Thankfully, (or maybe not so much for the intrepid adventurers) Etosha has since established secure camps and lodges within the park. After Namibia gained independence, conservation and sustainable use of resources became an integral part of operating Etosha National Park. The park has now become a premier tourist attraction of Namibia with more than 140 000 visitors recorded annually. Etosha is largely characterised by a great, dried up salt pan of 5 000 km2which briefly divides the surrounding brown grass area with a splash of parched white colour. 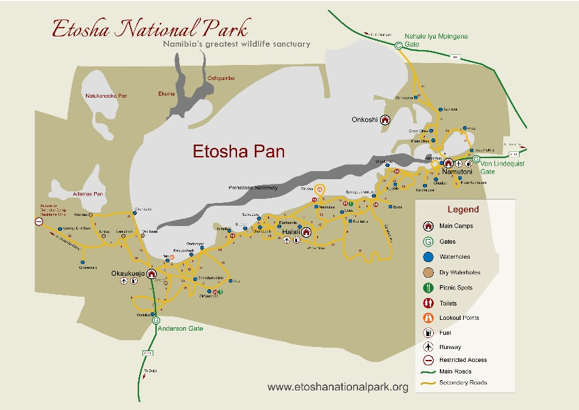 Owing to this, the name “Etosha” is derived from the Oshidongo language, meaning “Great White Place”. Etosha National Park is the 6thlargest national park in Africa. The game park is predominantly composed of golden grassland and savanna filled with dwarf shrubs and thorn bush. Different acacia, mopane, camelthorn and moringa tree species make up the vegetation. The wildlife is varied and plentiful, with Etosha boasting 114 mammal species, 340 bird species, 110 reptile species, 16 amphibian species and 1 fish species. Etosha plays a major role in the conservation of animals such as the South-western black and white rhino, elephant, black- faced impala (Aepyceros melampus petersi ) and lion. 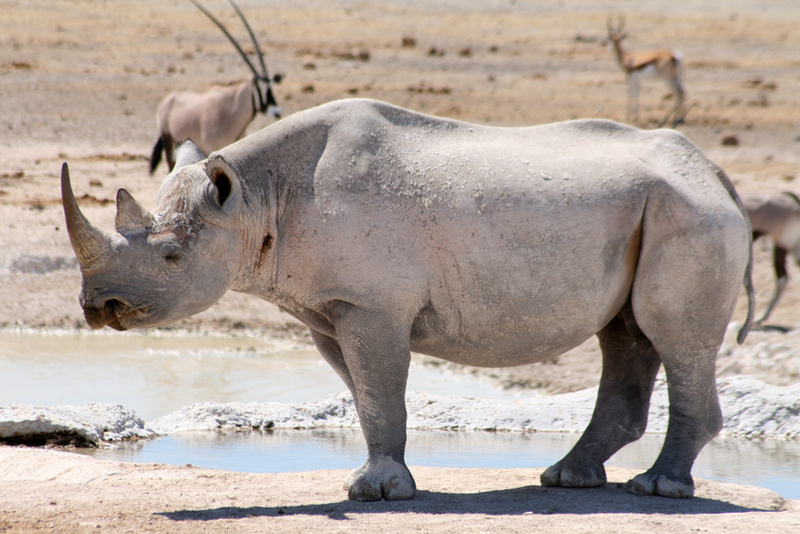 Namibia is home to almost half the worlds population of black rhinos and most of these are found in Etosha. The sub species of black-faced impalaisn’t found anywhere else in the world, with an estimated 3 000 left in the wild and half of this population found in Etosha. Furthermore, Etosha is also involved in vital research programmes pertaining to black rhinos and elephants in Namibia. Etosha Ecological Research Institute enables scientists from all over the world to study these animals and collect necessary data. 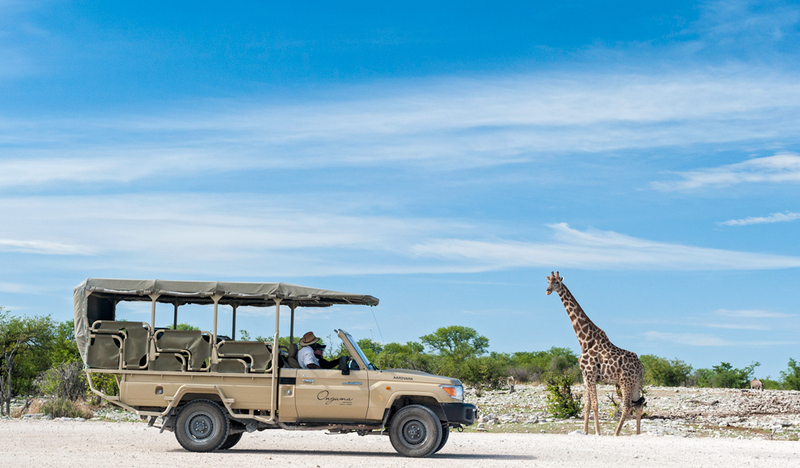 Etosha Game Park has undoubtedly proven to be a conservation success story. Many of these animals were declining, very low in numbers or on the brink of extinction before being moved to Etosha and allowed time to recover. Other animals that can be found in Etosha include; Angolan giraffe, plains and mountain zebra, various antelope, leopard, cheetah, various wild cats, honey badger, pangolin, spotted and brown hyena, black-backed jackal and various mongoose. As well as diverse bird species such as; ostriches, vultures, hawks, owls, cranes, flamingos, storks, herons, bustards, larks, white pelicans, shrikes, sandgrouse, waterfowl, blue cranes, horn bills, crows and falcons. There are numerous more animals not mentioned above, waiting to be spotted during a visit to Etosha! 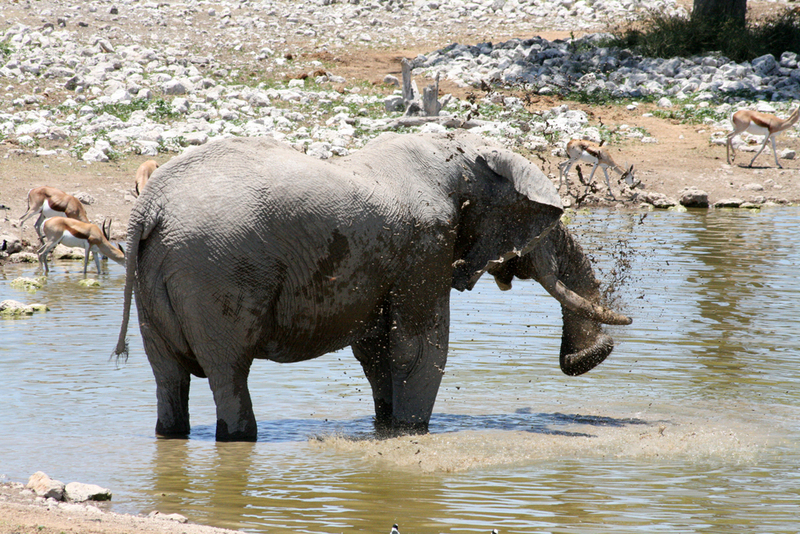 Etosha has various natural and artificial water holes throughout the park which provide the wildlife with much needed water. These waterholes also provide opportunities for great game viewing, a few are equipped with flood lights for night time game viewing. All of this makes Etosha a spectacular safari destination, while also allowing one to aid the conservation of these beautiful animals. 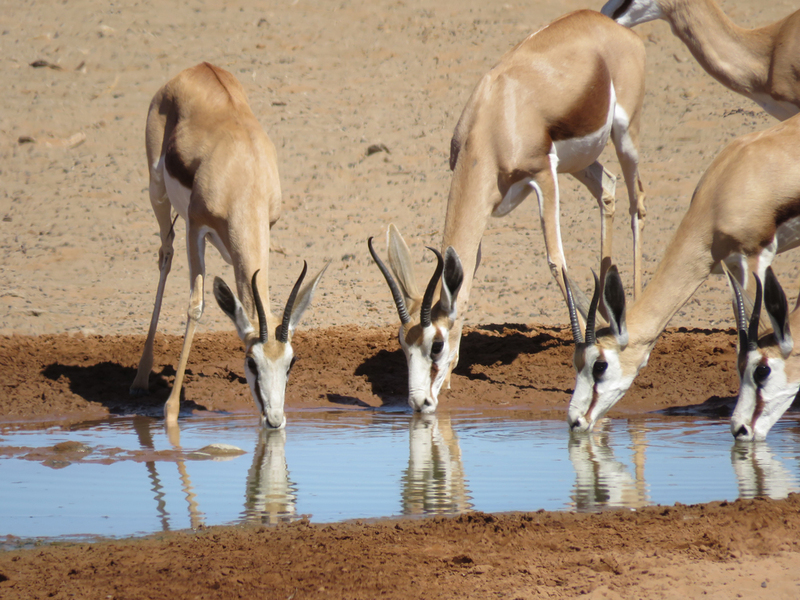 Pumped waterholes offer better game prospects in the dry season. These are marked on the Etosha maps by a black spot in the centre of a black circle. Patience is a virtue; find a good watering hole and wait for the game to come to you! Check the sightings book located at Okaukuejo, Halali and Namutoni Rest Camps for hot tips. Don’t be afraid to ask professional guides, who are often linked by radio to other vehicles in the park, for pointers. If staying inside the park, pick-up some quality fruit, snacks, drinks and maybe a good bottle of wine to enjoy while on safari. Only pay park-fees at the ministry offices located at Okaukuejo, Halali & Namutoni, and not at the gate. Carefully check and adhere to the park and rest camp gate closing times, these are strictly enforced. Plastics are now banned in all national parks in Namibia, make use of alternative packaging such as paper bags. Watch out for pot holes while driving and keep a good distance from crossing animals. 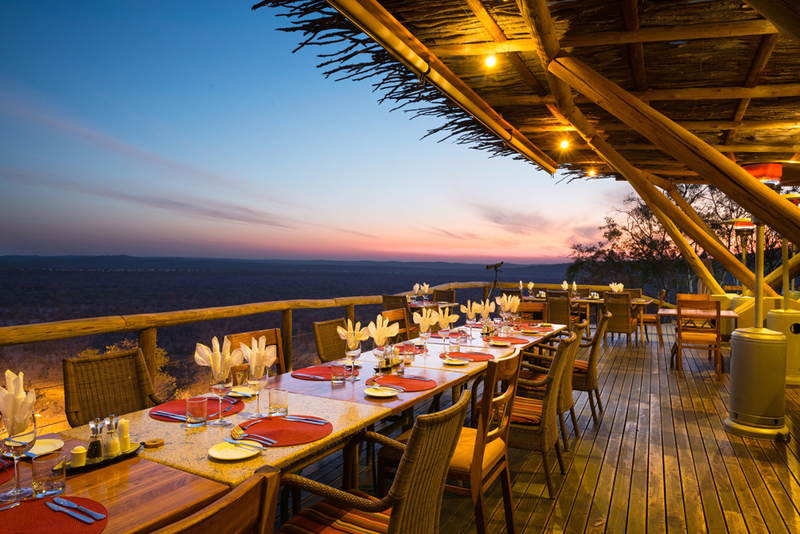 June to the end of October offers the best game viewing opportunities with large congregations commonly seen at watering holes. The rainy months of November to the end of February is the best time for bird watching, with migrants retuning and breading plumages on display. The best value time to travel is the green season from March to June.